One of the most amazing things about creating homemade Christmas decorations are the memories you make in the process. Whether you’re hanging out with friends or family, it’s always fun to craft and chat. 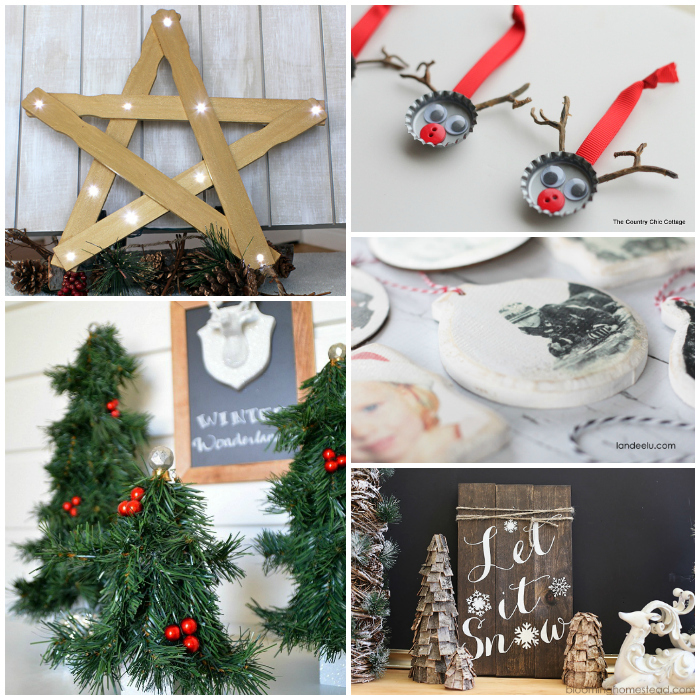 Get inspired by all these clever DIY ideas, from ornaments to festive home decor. I have a few favorites from this list that I will definitely be doing this year. Would you believe the most simple way to spruce up the couch for the holidays is with an old pillow? Really! The lumpier the better! 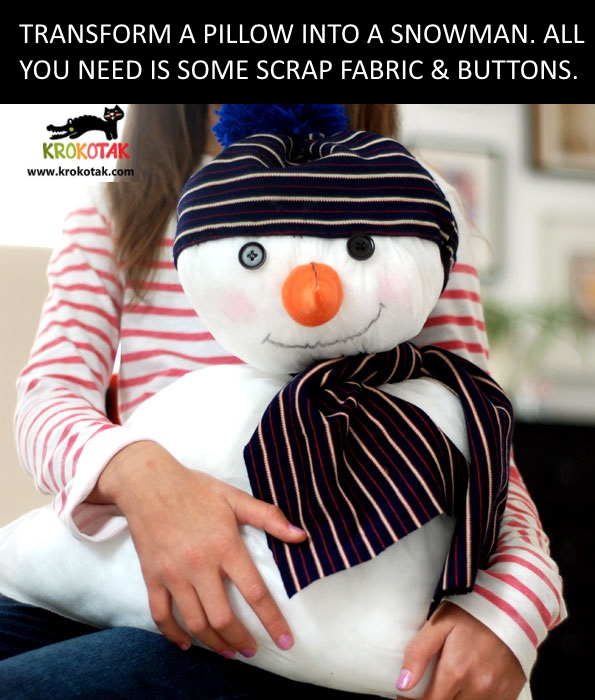 Check out how the blogger at KroKotak spriced up a pillow and transformed it into a snowman! 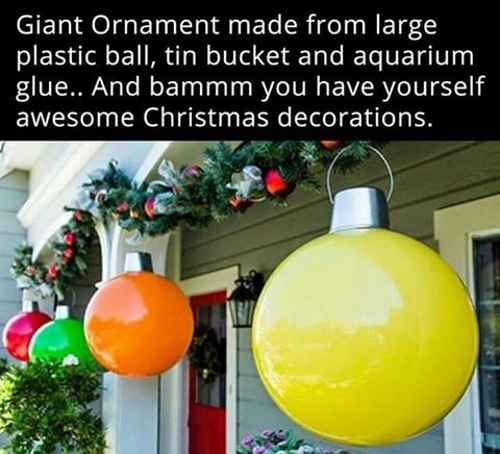 I love this Christmas Homemade Decoration! Who doesn’t love candles, especially during the holidays? 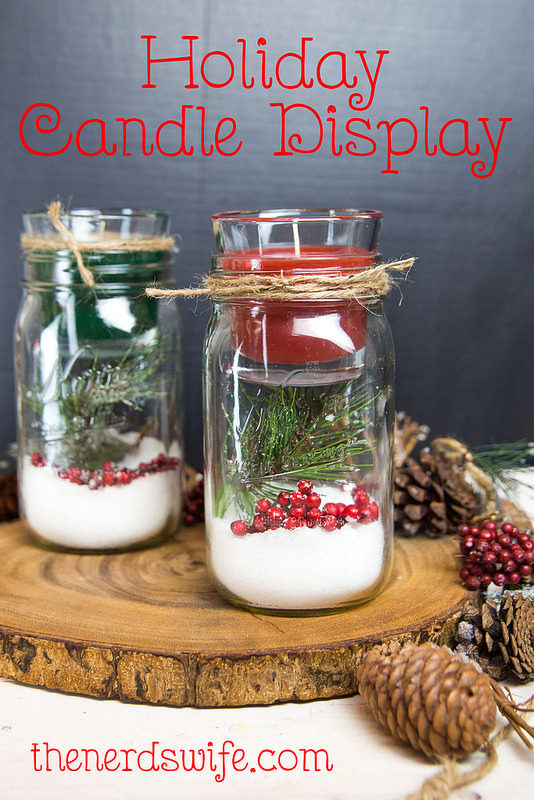 The Nerd’s Wife’s DIY Christmas Mason Jar Candle Holder adds a little color and nature to the mix. Now, not everyone has the same taste so let’s try something a little more whimsical. Another perk is these are WATER LESS – really! 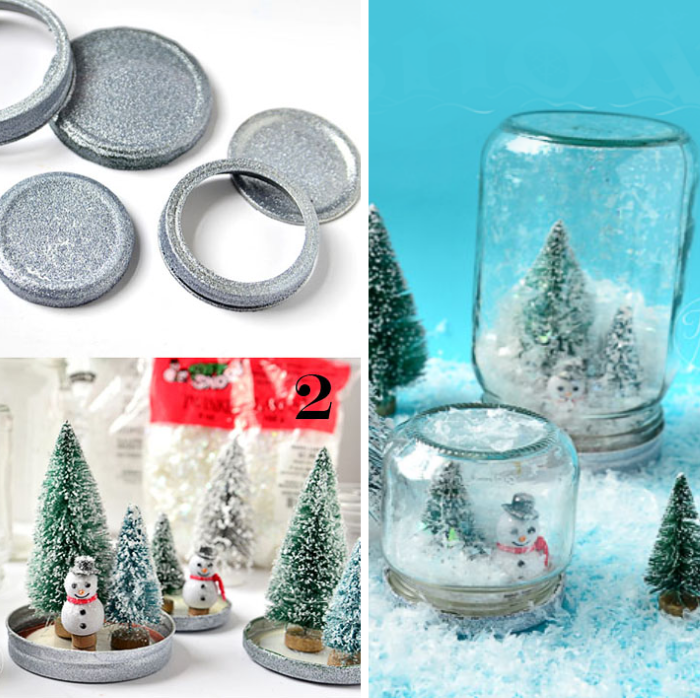 Mess free, read the post on Waterless Snow Globes from Tidy Mom to learn her secret! Just one more thing you can do with mason jars, right? I love how they create a whole Christmas-themed display with them. Twinkle lights truly do make Christmas more magical. My kids can’t wait to turn on the lights each year. 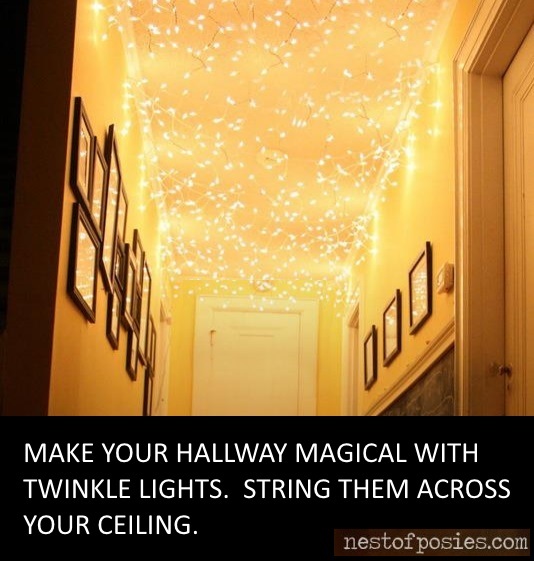 Check out how Kellie transformed her hallway with this DIY Christmas Decoration Idea!! Smart! 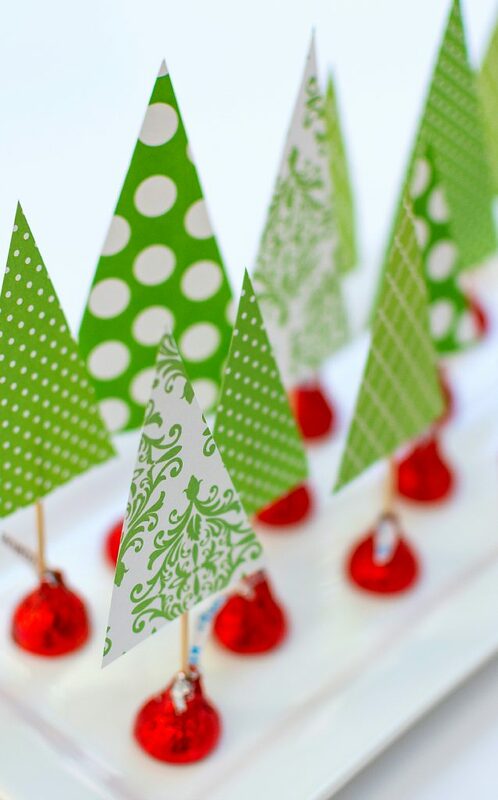 Let the little ones decorate the kids’ table with these Christmas tree kisses from It All Started with Paint. Imagine sitting with the family, sifting through some of your favorite photos, talking about those moments captured on film. 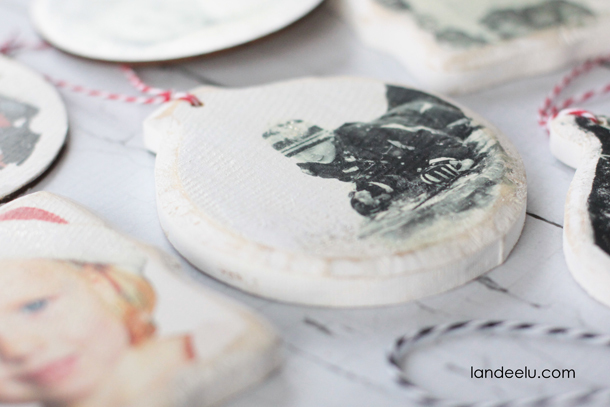 Landeelu walks us through the perfect holiday craft project, Photo Transfer Christmas Ornaments, to do just that. This DIY Ornament Wreath looks so intricate, yet it’s so easy to make! 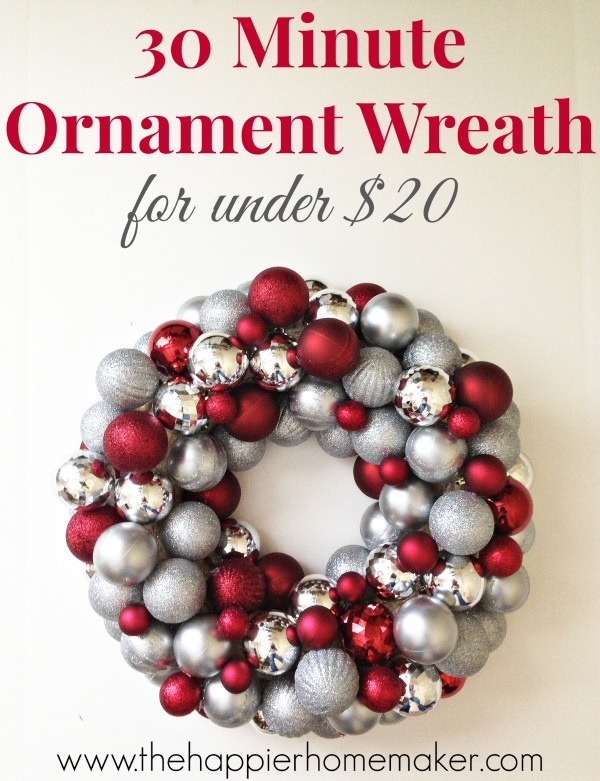 I love how the variety of ornaments make this wreath pop with color and texture. Did I mention it only takes 30 minutes to make? SOLD! 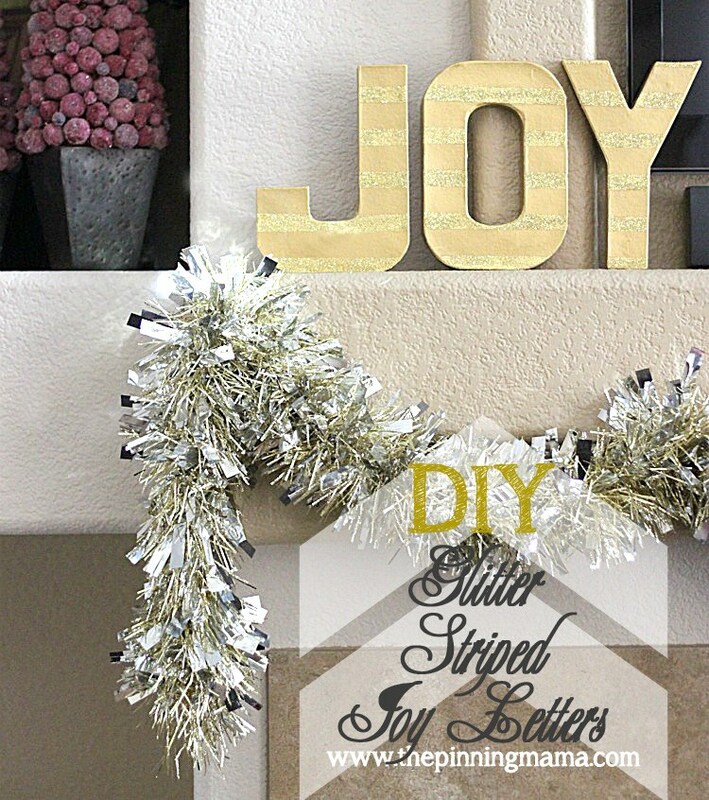 Make those craft store letters a little more festive with a little glitter and personal touch. 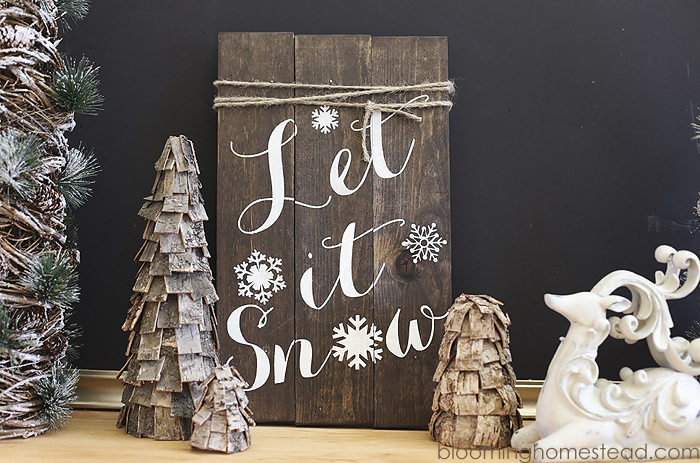 Dress up your mantle or table with this decorative idea from Pinning Mama. 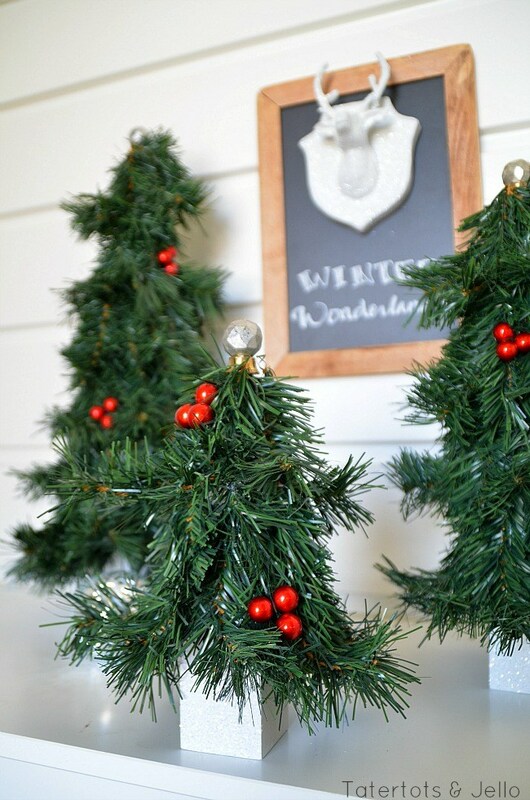 Add a splash of color with these Winter Wonderland Evergreen Trees by Tatertots and Jello. With a soft winter white background, these simple DIY Evergreens will add the perfect balance of color. Do you prefer a rustic look over the traditional red and greens? Try Blooming Homestead’s DIY Rustic Trees! You can even create different themes for various areas of your home. Maybe you can do a rustic theme in the dining room and a fresh colorful theme in the living room or entryway. Create depth with different layers and heights. Try a beautiful DIY Marquee Star (The NY Melrose Family), made out of repurposed paint stick stirrers, right above those rustic trees. 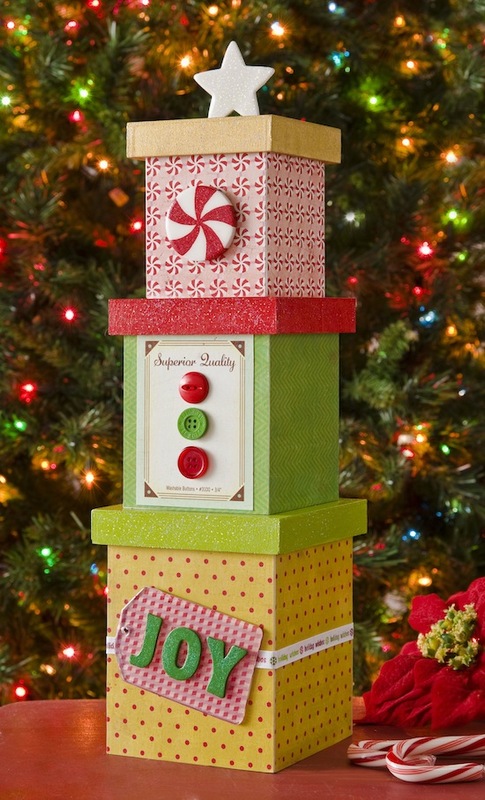 Combine those elements with this unique Holiday Card Display created by Lolly Jane. 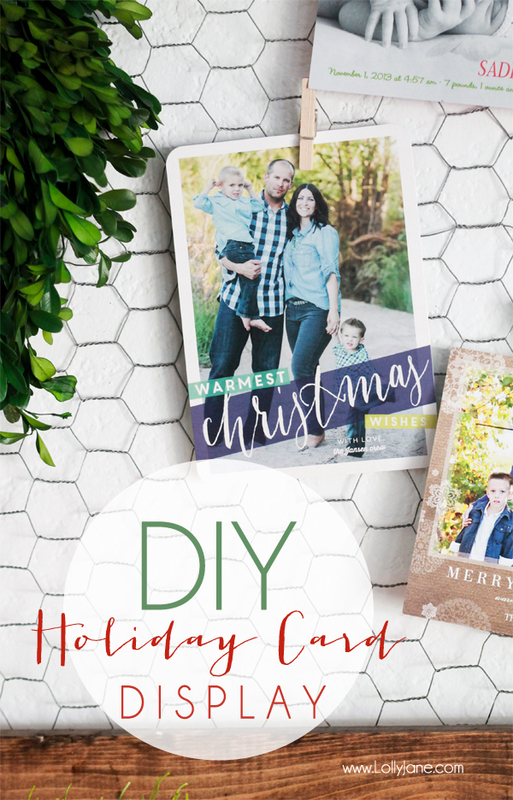 It’s a great way to feature all the special cards sent with love. This next piece is simple, yet so elegant! 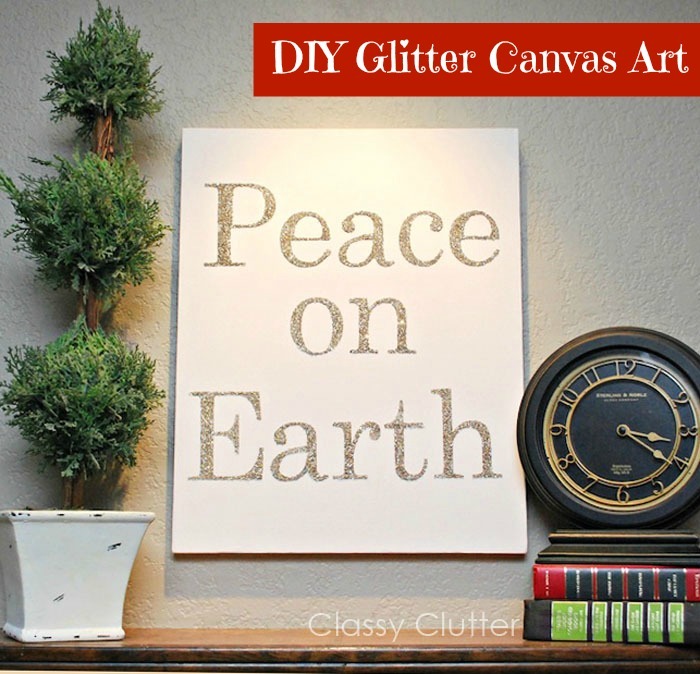 Add I Heart Naptime’s DIY Glitter Canvas Art to the homemade Christmas decorations to-do list. If you are going with a gold and white themed decor, pair this with the Marquee Star mentioned earlier. BEAUTIFUL! 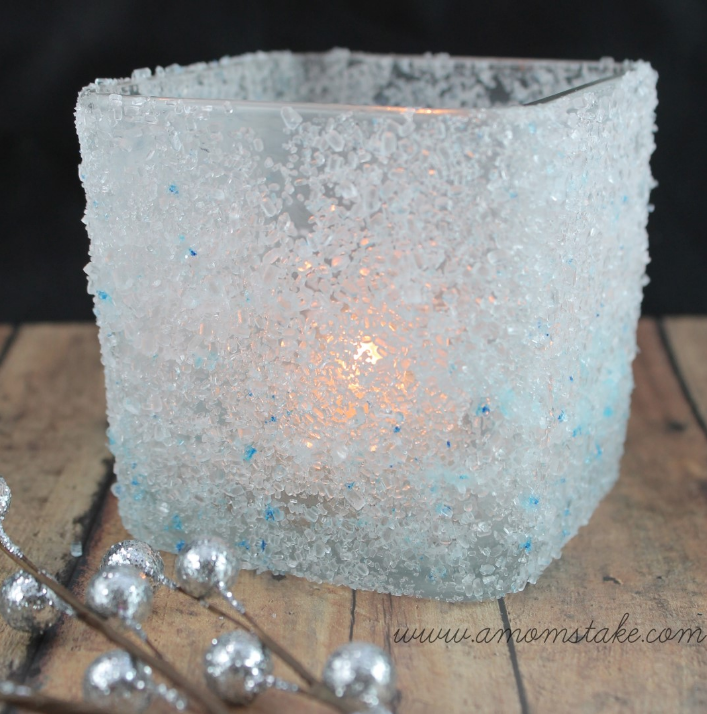 Add a little shimmer with this easy DIY Frosted Candle Holder from A Mom’s Take. It’s the perfect touch if you’re setting up a silver and white themed tablescape. Extend the decor from the Christmas tree to the area around them with these colorful Mini DIY Gift Boxes from Mod Podge Rocks. Hopefully no one will try and sneak a peek thinking they are real gifts. This DIY Burlap Christmas Tree Wall Hanging, by the Tiptoe Fairy, could replace the traditional wreath if you wanted to try something different. It’s so bright and colorful! We can’t forget the kiddos! Here are some fun crafts to get them involved in the tradition of making their own homemade Christmas decorations. Remember those plain cookie cutter ornaments we did as children? Well, there’s a new spin on those from DIY Candy. 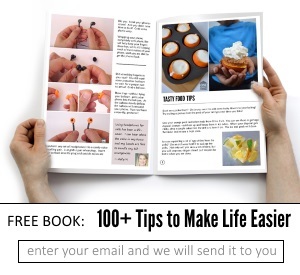 Better yet, you can make them for less than a $1! So what’s the best part? The memories of course! 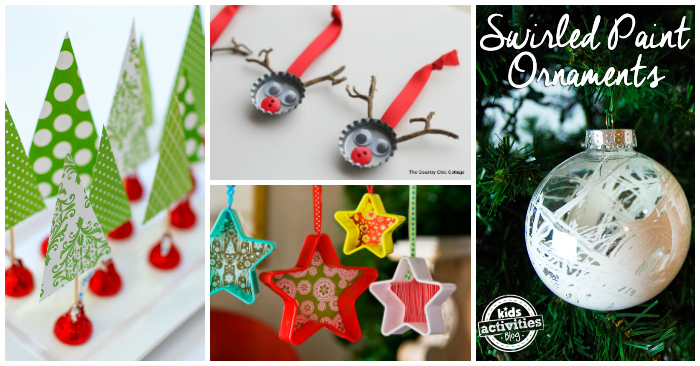 Take a moment to unplug and enjoy a little quality time creating cute Bottle Cap Reindeer ornaments. You can even have the kids create their own names for each one. I know it’s more proper to say bath tissue rolls, but let’s call it what it is, toilet paper rolls. 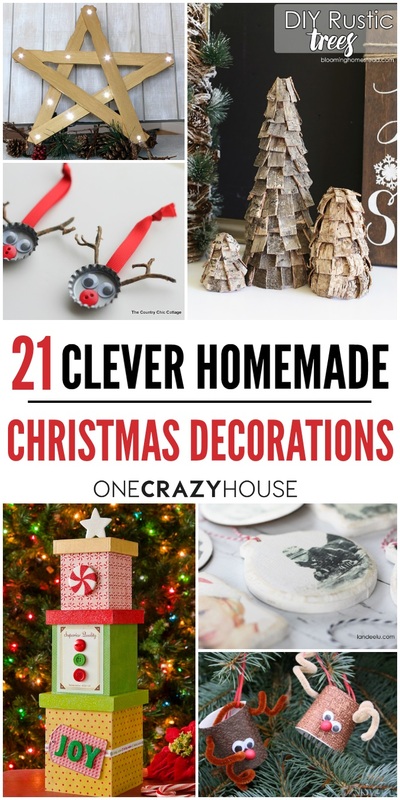 There are so many craft ideas involving the use of them, but I really loved these Reindeer Christmas ornaments featured on Happy Hooligans. 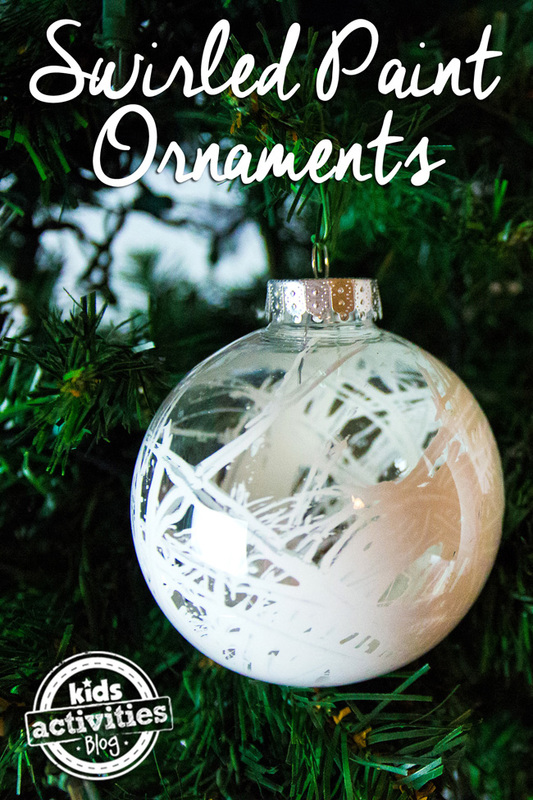 These Homemade Christmas Ornaments, from Kids Activity Blog, are a blast to make and look so beautiful on the tree. Each one is so unique! Finding tutorials for homemade Christmas decorations is so much easier now, especially with our friend Pinterest. However, I know sifting through all those pins can get overwhelming. 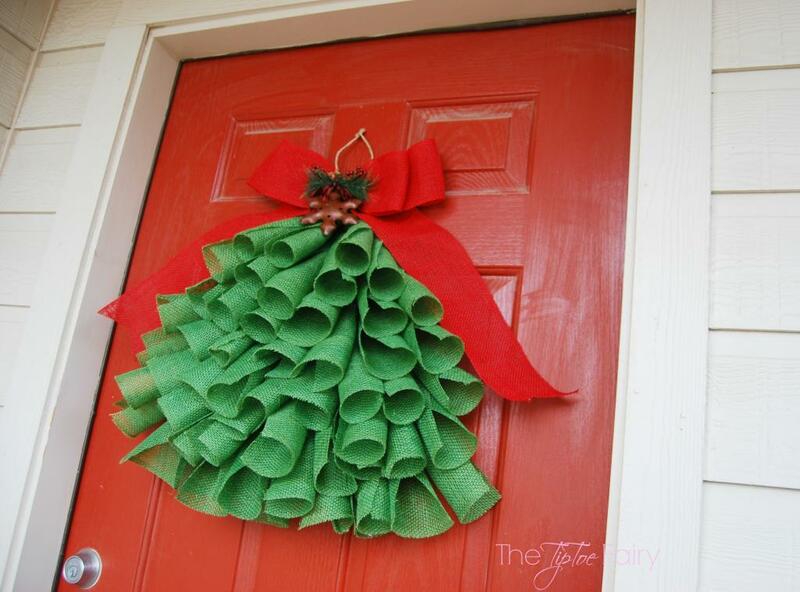 Hopefully, this set of DIY holiday decor ideas make it a little easier for you this season.